Enrique Iglesias will not be marrying Anna Kournikova. He’ll knock her up and start a family, sure, but walking down the aisle is out of the question. Anna Kournikova has Enrique Iglesias’ parents to blame for her unwed status. The singer and the tennis player have been a happy couple for over a decade, but his childhood trauma means the pair will never tie the knot. The 36-year-old is, of course, son of famous singer Julio Iglesias. The Spanish singer wed journalist Isabel Preysler in 1971, and had a trio of children. Enrique, youngest of the brood, was just 4 years old when his parents’ marriage was annulled. Despite being quite clear about his resolve not to marry, rumors have circulated that Enrique Iglesias and Anna Kournikova secretly wed years ago. Adding fuel to that fire was the singer’s use of the word “wife” when referencing his sweetheart during a concert in Russia last year. 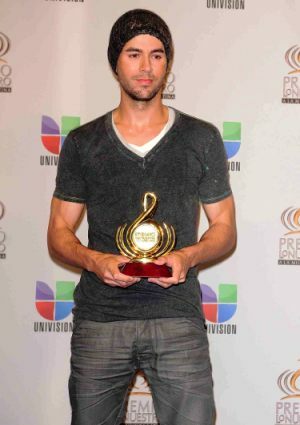 Do you agree with Enrique Iglesias that marriage doesn’t matter anymore?